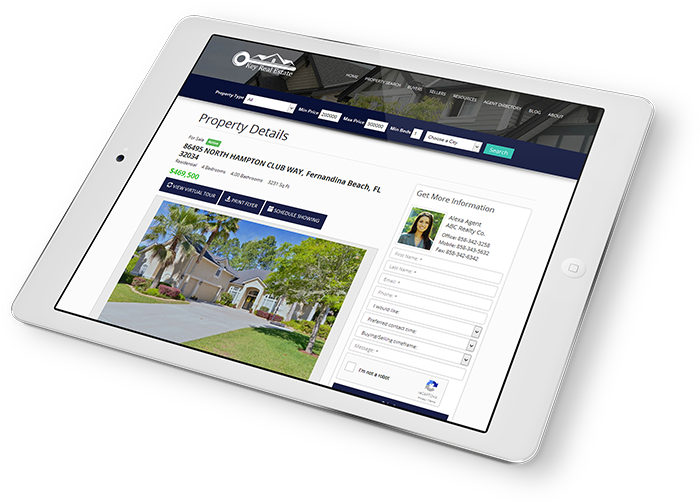 Launch Your Real Estate Agent Website Today! Agent Elite takes our Agent Website in a Box™ real estate website and adds our powerful Listing Marketing Package. 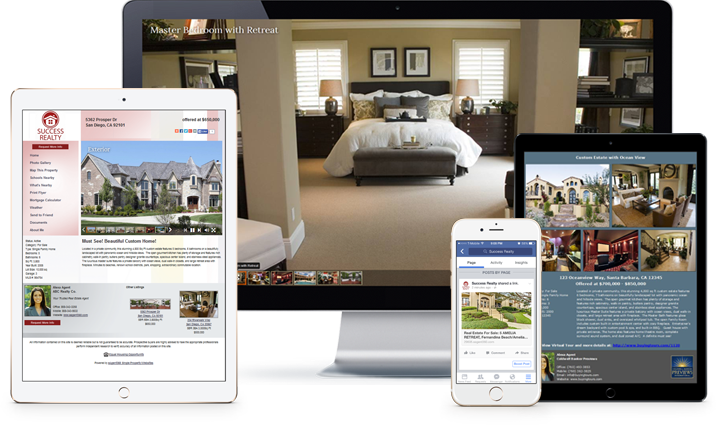 The Listing Marketing Package includes virtual tours, single property websites, listings flyers, listing syndication, online ad generator, and more. Our powerful platform automatically generates the listing marketing for every one of your listings saving you a massive amount of time. Because the Listing Marketing Package exists on the same platform as Agent Website in a Box, the two are seamlessly integrated for maximum benefits. Agent Website in a Box™ includes a blogging platform that allows you to easily post blogs to your agent website. Create as many content pages as you want. Use our page editor to easily add and edit content. Agent Elite takes Agent Website in a Box™ professional real estate website package and adds our powerful Listing Marketing Package. The Listing Marketing Package includes virtual tours, single property websites, listings flyers, listing syndication, and more. Our powerful platform automatically generates the listing marketing for every one of your listings saving you a massive amount of time. Because the Listing Marketing Package exists on the same platform as Agent Website in a Box, the two are seamlessly integrated for maximum benefits. With our eAgent360 platform, you no longer have to use and manage different services from different companies. Not only will you save money using Profusion360 but you will save a lot of time using our integrated platform with real estate website and listing marketing. Using different companies and trying to put it all together can be a major headache and will take lots of time that you don’t have. Let Profusion360 be your single provider to save your money and time so you can focus on getting more clients. 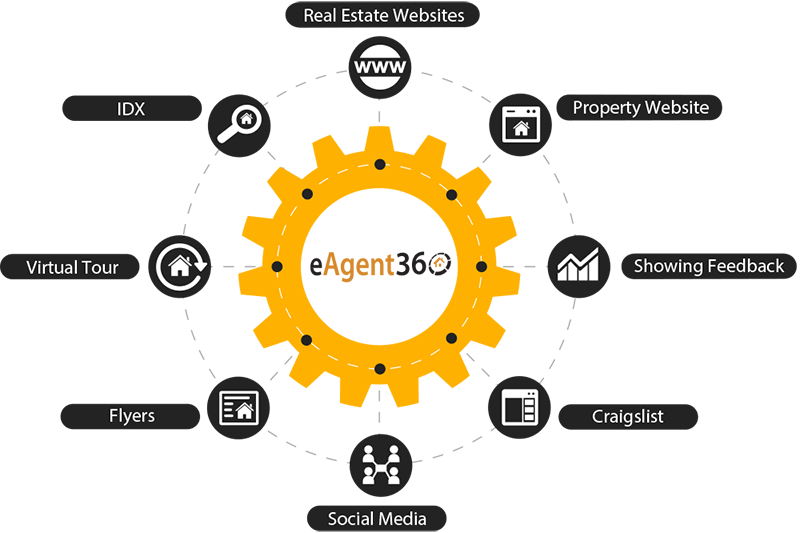 Because your real estate agent website and listing marketing will exist on one integrated real estate platform you’ll get many benefits. Your listing information will exist in one place in which the listing marketing will be automatically created. For example, all your listings on your agent website will automatically have links to a virtual tour, single property website, and flyer. There is absolutely no additional work required by you. The virtual tour, single property website, and flyer are automatically generated for you! In addition, if you have the Showing Feedback System, there will be a Request Showing form for your listings. When a user submits a showing request, it goes into our Showing Feedback System and will automatically send out showing feedback requests after the showing occurs. Again, no additional work is required by you. These are just a couple examples of the benefits of our integrated real estate marketing platform that will save you an abundance of time allowing you to grow your real estate business. Questions about our Agent Elite plan?